Book directly for exclusive Playa del Carmen vacation packages, hotel specials and access to our events and luxury resort-style amenities on the beach that Thompson Playa Del Carmen has to offer. Enjoy a Suite Escape at Thompson Playa del Carmen this spring. Take up to 25% off plus a $25 food & beverage credit on stays of 2 nights or more. 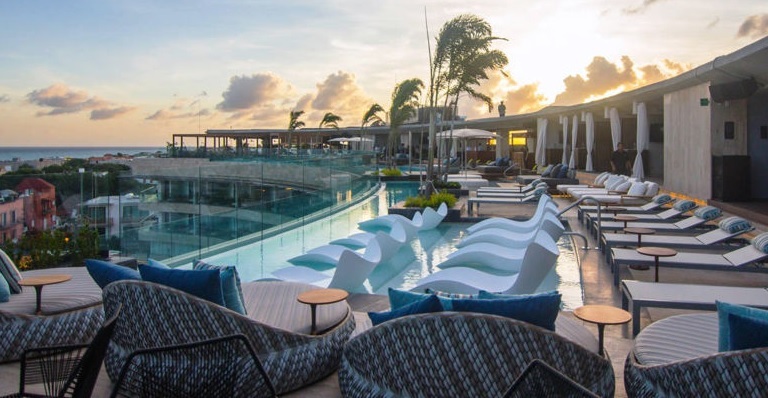 Stay 2 nights at Thompson Playa del Carmen and get round airport transfer, breakfast, 6 hours excursion and Dinner at Catch Restaurant for 2 people. Perfect for bachelor/ette weekends, spring break, graduation celebrations and more. Includes breakfast daily, use of a private cabana, and $100 resort credit, this package has it all (plus the beach). Come to Thompson Playa del Carmen for that special romantic occasion and receive two 50-minute relaxing in room massages, a bottle of wine and chocolate amenity.